Touhou Telepathic Girl Song Collection (東方テレパス少女歌集, Touhou Terepasu Shoujo Kashuu) is a doujin album by IOSYS released on 2011-10-16 (Touhou Kouroumu 7). It features vocal and instrumental arrangements of Satori's theme from Subterranean Animism. 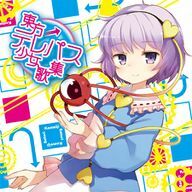 The character in the cover art is Satori Komeiji. Track 01 is a parody of Yuru Yuri's opening song ゆりゆららららゆるゆり大事件. Track 04 is a parody of きゃりーぱみゅぱみゅ's song PON PON PON. ^ The original title is making a pun: "Love" is read as "ai" (愛) in Japanese, the same reading as the English word "eye" in Satori's "Third Eye". This page was last edited on 8 July 2017, at 13:49.